Plenty has been written about the fact that a bunch of dudes named Chris are currently starring in Marvel’s superhero films. But now one brave soul is daring to ask: When will Ryans get their day in the sun? 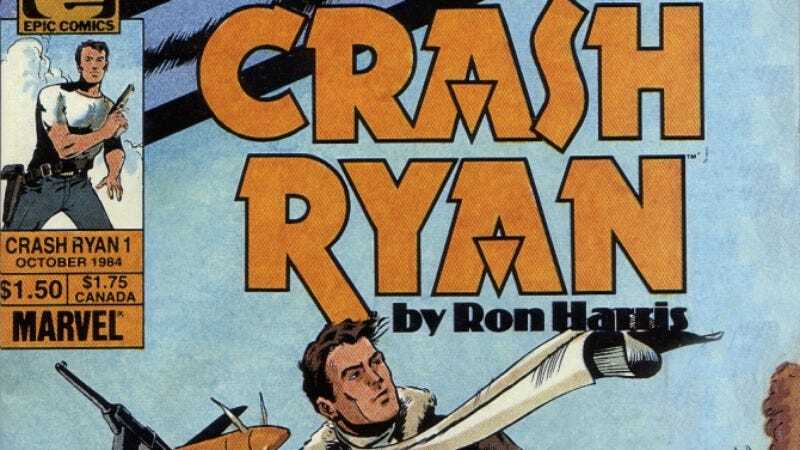 According to Variety, producer Ryan Heppe has acquired the movie rights to the obscure 1984 comic book mini-series,Crash Ryan, which will finally give Ryans the chance to be involved in a superhero movie that isn’t Green Lantern. Published under Marvel Comics’ now-defunct creator-owned imprint Epic Comics, Crash Ryan takes place in an alternate version of 1935 where airplanes are superpowered. A pilot named Crash Ryan ends up caught in the middle of a battle between the heroic United Airmen and supervillain “the Doom.” Creator Ron Harris based the series on his childhood spent on naval bases, and was particularly inspired by visions of the future as they were imaged in the 1930s. In addition to the 1984 comic, he also brought back the character for a four-part story that ran in Dark Horse Presents in 1990. Harris teamed up with Heppe to write a 50-page outline for Crash Ryan And The Eyes Of Lemuria, which “reinvents the story as an earthbound, steampunk-inspired fusion of Indiana Jones and Star Wars.” Now Heppe will co-write the script with screenwriter David Cowper. And while it’s unfortunate that not every creative player could be named Ryan, Heppe is presumably banking on getting the right name (literally) for the central role. With Ryan Reynolds busy working on that Deadpool film (score one for Team Ryan! ), Heppe could turn to Ryan Gosling, Ryan Phillippe, or even an unconventional choice like Ryan Seacrest for the titular pilot. Really, the important thing is to finally bring some of the diversity (of names) that has long been missing from comic book films.